FairLifts keeps Kansas transmission line construction on track. Working with an expert network of helicopter operators, we schedule timely and cost-effective transmission line construction solutions in remote and rugged areas of the state with limited environmental impact. Transmission line construction services include structure and pole placement, transport of vehicles, equipment, concrete and matting, structure framing, including changing cross-arms or davit arms and installing x-braces, knee braces and v-braces, hanging insulators and stringing blocks, pulling sock line, hard line, optical ground wire (OPGW) and shield wire, installing spacers, marker balls, bird discouragers and anti-galloping devices, and post-construction inspection. Other services include unclipping wire and hanging stringing blocks, including tangent, angle and double dead-end structures, cutting out or covering shield wire sleeves and other shield wire repairs, clipping in conductors and overhead wires and removing stringing blocks, including tangent, angle and double dead-end structures, cutting out conductor sleeves and installing double socks and optical ground wire (OPGW). Kansas is famous for its farmland, however, a number of other industries rank highly in the state, including transportation equipment, commercial and private aircraft, food processing, publishing, chemical products, machinery, apparel, petroleum, and mining. The state is eighth in petroleum production and eighth in natural gas production in the US. Kansas is also heavily influenced by the aerospace industry with several large aircraft manufacturing facilities based in Wichita and Kansas City, including Spirit AeroSystems, Bombardier Aerospace, and Textron Aviation. Coal is the largest fuel source for electricity generation in the state, accounting for 38% of its power generation. Kansas is also the fourth largest wind power producer with 36% of the state's electricity generated by wind energy, and it is one of the leading ethanol-producing states with a combined production capacity of more than 500 million gallons a year. 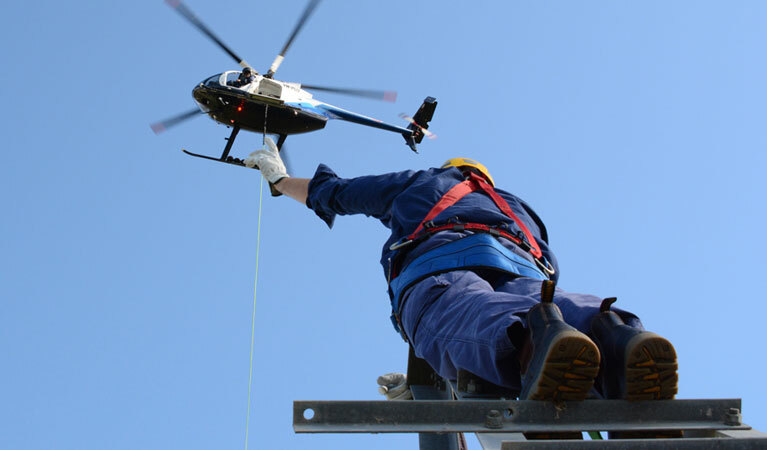 FairLifts, a global leader in scheduling timely transmission line construction services, works with a network of expert helicopter operators to provide superior transmission line construction solutions in Kansas. FairLifts also arranges a number of additional services, such as work crew and equipment transport to remote sites, as well as heavy lifts for hardware and machinery. FairLifts works with a network of heavy lift aircraft, capable of carrying over 9,000 lbs, to provide lift solutions for all types of transmission line construction operations. Ensuring maximum safety and cost-efficiency, FairLifts schedules environmentally-friendly services that include light to heavy lifts, and aerial crane services for the transportation and placement of heavy items. FairLifts works with a network of helicopter providers to facilitate wire stringing and the placement of primary conductors onto the transmission line structures, including the installation of conductors, ground wire, insulators, stringing sheaves, rollers or travelers, vibration dampeners, weights, suspension and dead-end hardware assemblies for the full extension of the project. FairLifts works with a network of helicopter providers to offer expert utility pole installation, allowing crews to access remote and rugged terrains with limited environmental impact. 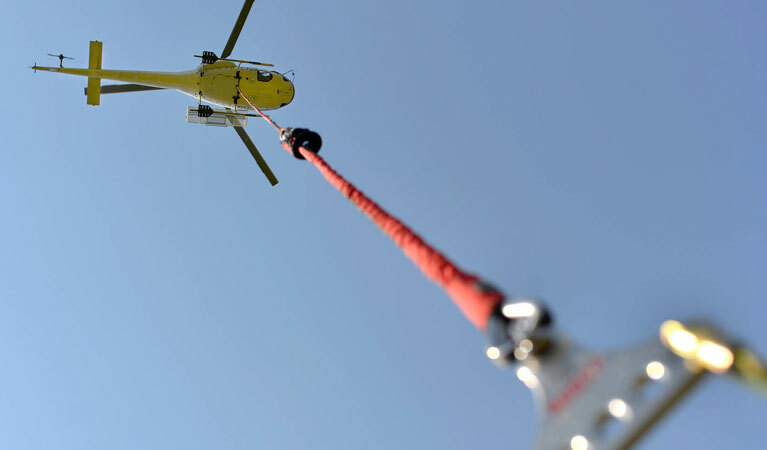 Helicopter lifts are capable of lifting composite poles, which have a greater strength/weight ratio than traditional wood poles, providing the necessary strength to install poles in inaccessible areas in Kansas. 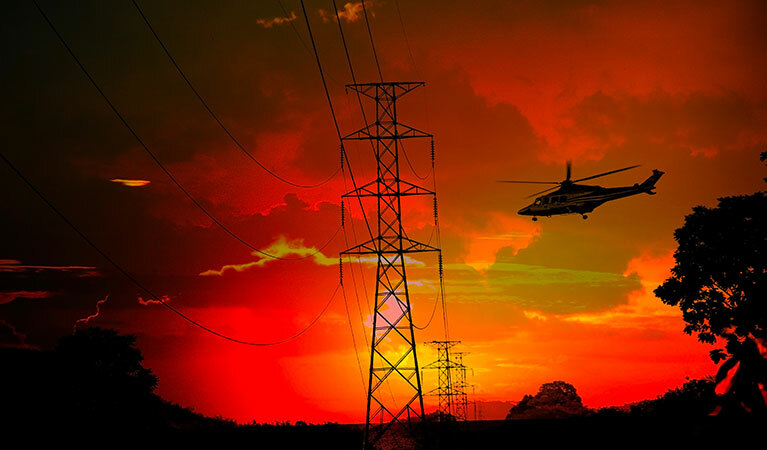 FairLifts works with a network of helicopter providers to ensure all-inclusive ROW and site inspection of power transmission lines through infrared thermographic inspection, which detects transmission line anomalies. Other inspection services include corona measurement with new generation technology to detect corona interference in high-voltage transmission lines. FairLifts has a professional team of customer service agents on hand 24/7 to provide all the information you need to schedule Kansas transmission line construction services. A global network of helicopter operators ensures safe, reliable and cost-efficient solutions for all transmission line construction needs, and guarantees timely and precise delivery of our expert services.